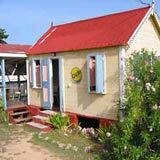 E's Oven has some of the tastiest West Indian food on the island. Special Tip: Their roast chicken is succulent, one of the best we've ever had! Pssst!... 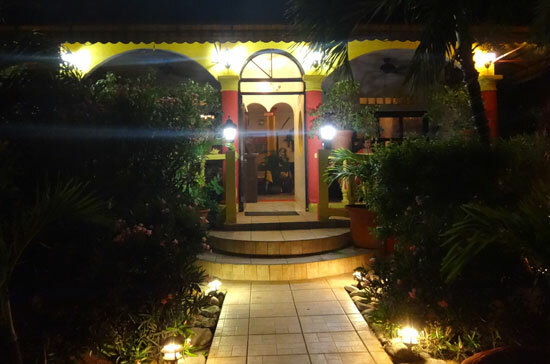 If you've dined at E's Oven and loved the food, read more on Caribbean dining in Anguilla here. 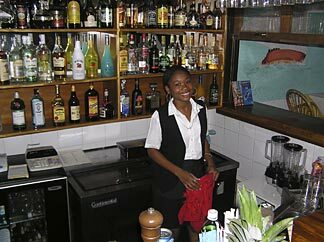 There are a few other Caribbean restaurants you may enjoy listed on that page. When in Rome, eat spaghetti. Dining in Paris, have steak-frites. Hungry in London, go with fish & chips. The general rule of thumb, in any city, (and restaurant even), is eat their specialty! 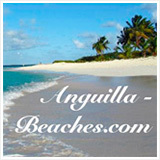 But what exactly is Anguilla's "specialty"? 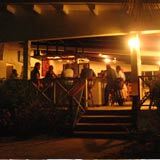 Anguilla certainly provides a wide spectrum of restaurants from French to Italian to Japanese to even Thai-French fusion! 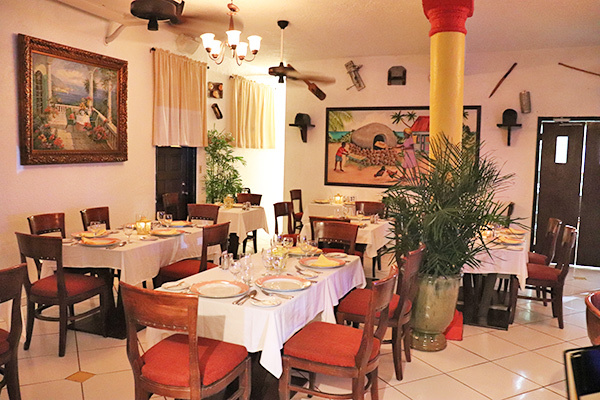 But our absolute favorite, none-match-by-even-the-slightest-of-comparisons, have always been the eateries that provide Caribbean dining. They were staples in the Caribbean dining experience! But no way could our family afford to dine on such divine food every evening. There had to be less expensive restaurants that provided Caribbean dining, other than the local weekend BBQs. We didn't have to dig deep before we hit gold! Our prize restaurant had been staring us in the face this whole time. 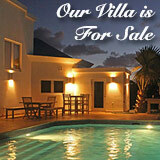 We would only pass it every day, on our way to and from the West End, as it's located on Anguilla's main road. 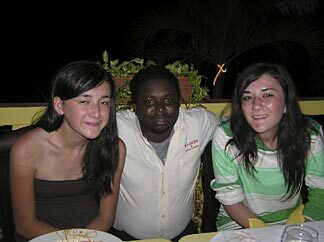 And, friends from the island certainly have raved on and on about it to us. But somehow my immensely dense tribe of family members and I were blind and deaf to E's Oven. 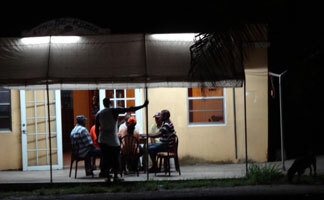 We approached the very familiar West-Indian style eatery, with intrigued looks on our faces. Would our palates be pleased like those of our friends? Would E's Oven become the best moderately priced, Caribbean dining? Upon stepping inside the red and yellow building, we were enveloped in its warm, open and inviting atmosphere. 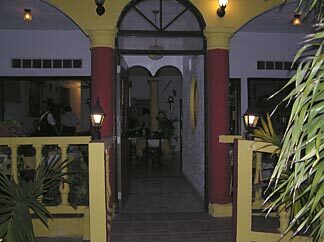 Dark wood chairs and tables covered the dining room floor, and different Caribbean artifacts hung from the walls. But the most amazing of all, was the bar. This woman, the bartender, stood roughly three-four feet below everyone else. The bar was built a level lower than the dining room, right next to the chef's mother's old stone oven. Our waiter was seating us. We sat a little removed from the restaurant's interior atmosphere, on a picturesque white and sea-green painted deck, just off of the central dining area. 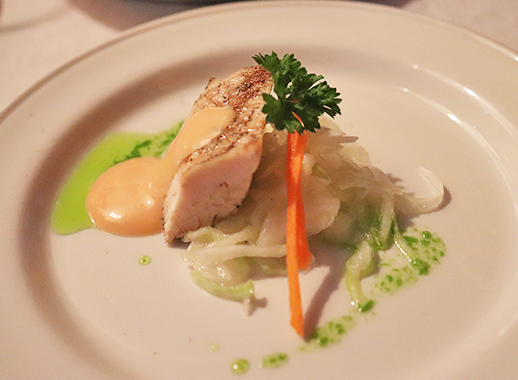 As we flipped through the menu, the local sounds of inland Anguilla filled our ears... Crickets were chirping, kittens were crawling through hedges and the occasional chicken (that was still awake!) 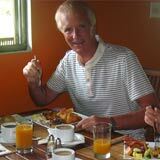 would cluck, as a warm, gentle Caribbean breeze ran through our hair and cooled our skin. In exchange for our orders, he gave us a complimentary appetizer... chicken spring rolls! If heaven had a shape and a taste, it would be E's Oven chicken spring rolls. They were out of this world! It wasn't too long before the waiter made a return visit to clear the empty plates, and place our entrees in front of us. My sister chose seafood pasta, I opted for a shrimp salad, and my Mom and Dad went with pan seared yellow tail snapper. The food was sensational! We all sampled a little bit of each others plates, and only had one thing to say... give our compliments to Executive Chef Vernon Hughes! Even though we came to E's Oven in search of real Caribbean dining, we passed on the traditional meals like creole conch and curry Anguillian goat meat. But the bottom line was the food we did have, at a restaurant that provided Caribbean food, was delicious and not over-priced! Today, E's Oven has stood the test of time. Opened in 2000 by Chef Vernon Hughes, E's Oven continues to serve delicious Caribbean-flavored food for a very reasonable price, comparatively. $36 US for a plate full of perfectly cooked and seasoned crayfish is what we found at E's Oven! The sides were also delicious. 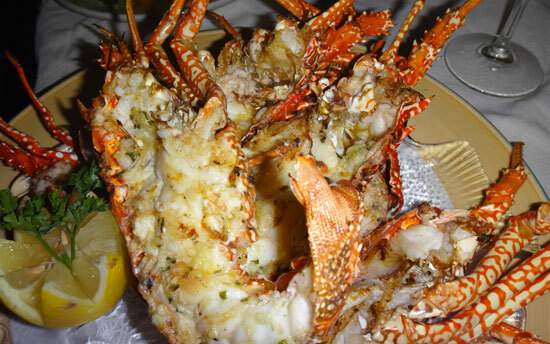 When you compare the crayfish portion and quality along with price, it's almost hard to beat as other more upscale restaurants in Anguilla will charge $45 US and up for a crayfish entree. 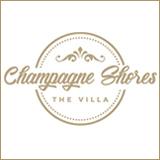 They offer a large selection of cocktails and wines. Crayfish aside, E's Oven offers a nice array of appetizers, salads, entrees and desserts that are priced just right. Meals always begin with a special amuse bouche from the chef. One of our favorites? The grilled chicken atop cabbage slaw. Grilled Chicken and Cabbage Slaw- YUM! It's the perfect way to whet your appetite! Next up? Favorite appetizers! The pan-seared garlic crusted crayfish tails are a "must-try." 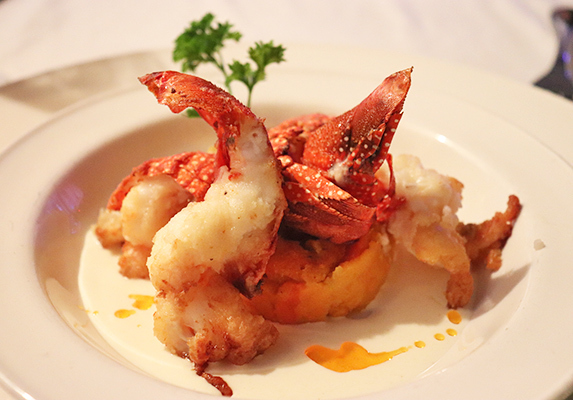 The dish comes with mashed pumpkin, carrots and a shellfish cream sauce. Jaw-droppingly delicious! We always want to order seconds! From E's Oven entrees menu, the Seafood Pasta is irresistible. 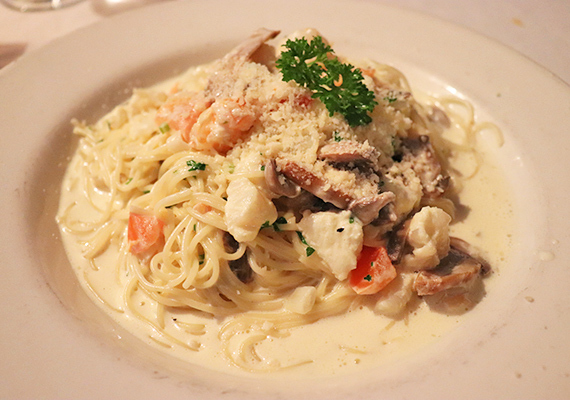 Angel hair pasta, mushrooms, tomatoes, onions and a variety of seafood are mixed together with your choice of a cream or tomato sauce. Filling, flavorful and affordable... this is a high value dish! 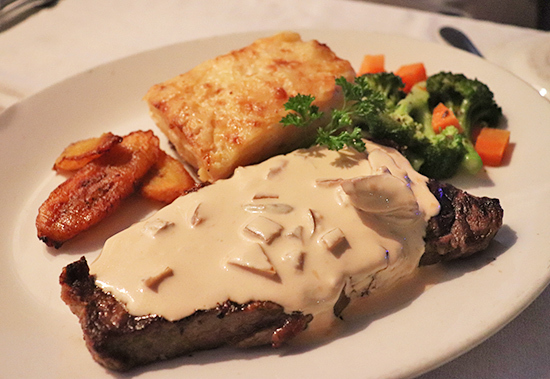 Grilled sirloin steak is served in a creamy mushroom sauce with scalloped potatoes, plantain and vegetables. Unbelievably juicy with a Caribbean twist! And then of course, there are the specials. 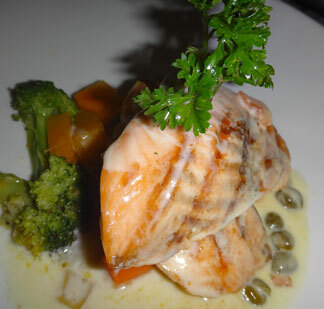 The salmon special served in a cream sauce with capers goes down as an all-time best. As you can see, the reasons are many to come to E's Oven! 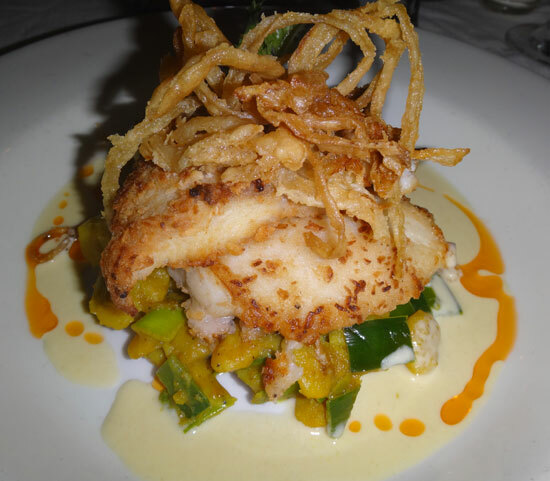 How does Chef Hughes get away with terrific food at such great prices? 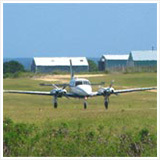 E's Oven is located on the main road and not on the sea. 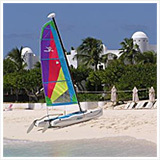 Restaurants that are on the sea are wonderful (one of the reasons people come to Anguilla! ), but generally more expensive. If you are on a budget and looking to eat well but might prefer a lighter bill, I've found no disappointment in dining at places away from the sea like E's Oven, Tasty's Restaurant, Andy's Restaurant and my very favorite - the old Zara's. 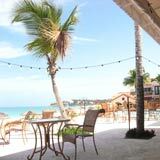 In fact, these are some of Anguilla's most delicious restaurants. 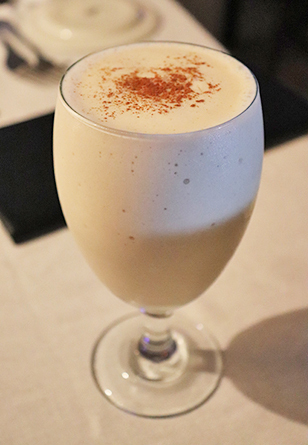 They use Caribbean flavors in their food and that have local chefs who were trained at high-end Anguilla hotels as well as abroad in The United States and Europe! To get an idea of how price can vary, take for example the grilled fish at The Place. It is good and costs around $25 US. 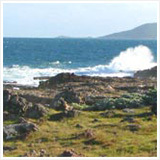 Granted, you are sitting on marvelous Rendezvous Bay as you enjoy your fish. A similar and probably slightly tastier grilled fish awaits you at Andy's Restaurant, but for $16 US, and sitting amidst trees in The Valley. E's Oven offers its own charm. 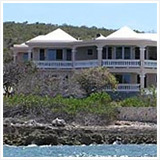 Just look right out the front door and across the street and you will see real Anguilla. Don't most of us truly love to see true culture when we travel? "E's Oven" itself is a tribute to Chef Vernon's late mother. 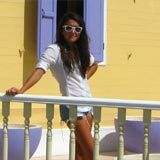 She used to bake in a traditional stone oven (keep your eyes peeled for old stone oven's around the island!) and it was located where the bar section of the restaurant currently sits. Each time I've been to E's Oven, the service has been good and the food has been phenomenal, plus the ambiance there is soothing. 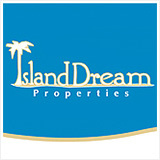 I would call it "upscale Caribbean". 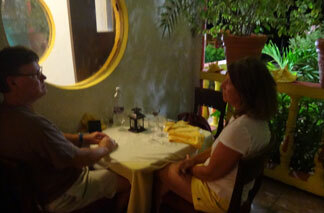 I would also list E's Oven as one of Anguilla's more romantic restaurants with its low light and rich decor. If you choose to opt for a restaurant that isn't right on the sea, you will save yourself a little money and you are very likely to just as, if not more satisfied with your meal. 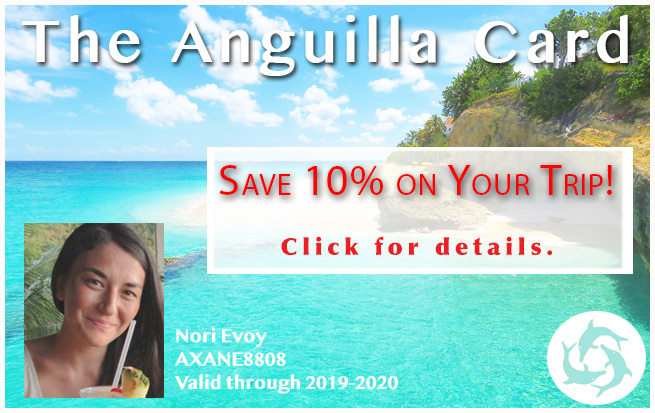 Hopefully these little tidbits help you have an idea of what to expect and how you can eat well for a lower cost in Anguilla. Directions: On the main road, E's Oven is just east of the stop light near Mingz grocery store. See the map for exact locations. Good for refined, Caribbean cuisine. Hours: Lunch and dinner Wednesday-Monday.